ISTP has long provided an education that balances tradition and innovation. Now, as a candidate school for the Primary Years Programme (PYP) of the International Baccalaureate (IB), ISTP delivers its rigorous and dynamic curricula (French, Chinese, and English) through the PYP’s framework of Units of Inquiry. The six Units of Inquiry are based on global themes that provide conceptual connections across subject areas, such as Who We Are, How the World Works, and Where We Are in Place and Time. 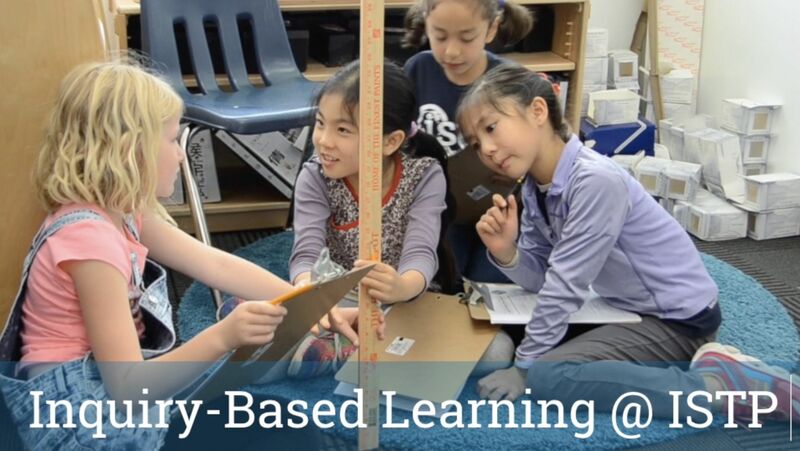 Inquiry-based learning is an approach to education in which students are fully engaged by asking questions, reaching for answers, making bigger-picture connections, reflecting on learning, and taking action. "Where we are in Place and Time"
The PYP framework is based on a structured inquiry approach, where teachers facilitate the understanding of specific content and skills outlined in our curricula, but in ways that allow students to connect, be curious about, and build their own understanding of the content and skills through a deeper grasp of concepts. The International School of the Peninsula is an IB (International Baccalaureate) World School, authorized to offer the IB Primary Years Programme (PYP). IB World Schools share a common philosophy - a commitment to high quality, challenging, international education that the International School of the Peninsula believes is important for our students. We are currently a candidate school* for the Middle Years Programme, pursuing IB accrediation for the MYP curriculum offered in our International Middle School. Ready to have your child's curiosity and creativity nurtured by passionate and experienced teachers? Do you want your child to have a responsible international mindset? To be encouraged to take risks and take action, with the ability to problem-solve in more than one language? Give your child the opportunity to discover, play, and create in an innovative setting by contacting ISTP today.